The gesture of placing the hands, palms together, in front of the heart chakra is the same as verbalizing the word Namaste. This deep form of respect is traditionally done before and after yoga class; however, in the west it is more common after class. 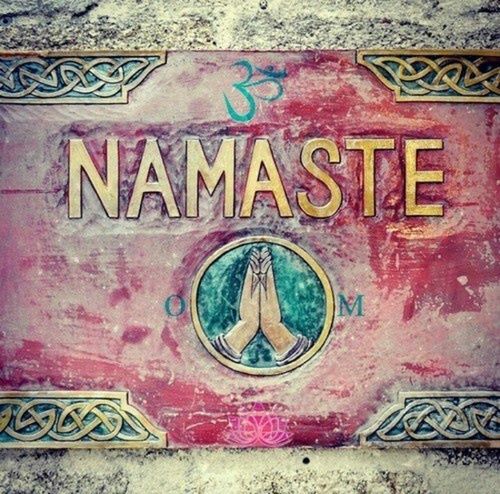 Namaste encourages individuals to recognize each other energetically in a timeless space of pure connection, free from the bonds of ego, fear and judgment.